I have to take my laptop out of the house next week and wanted to have a cushioned bag to put it in. 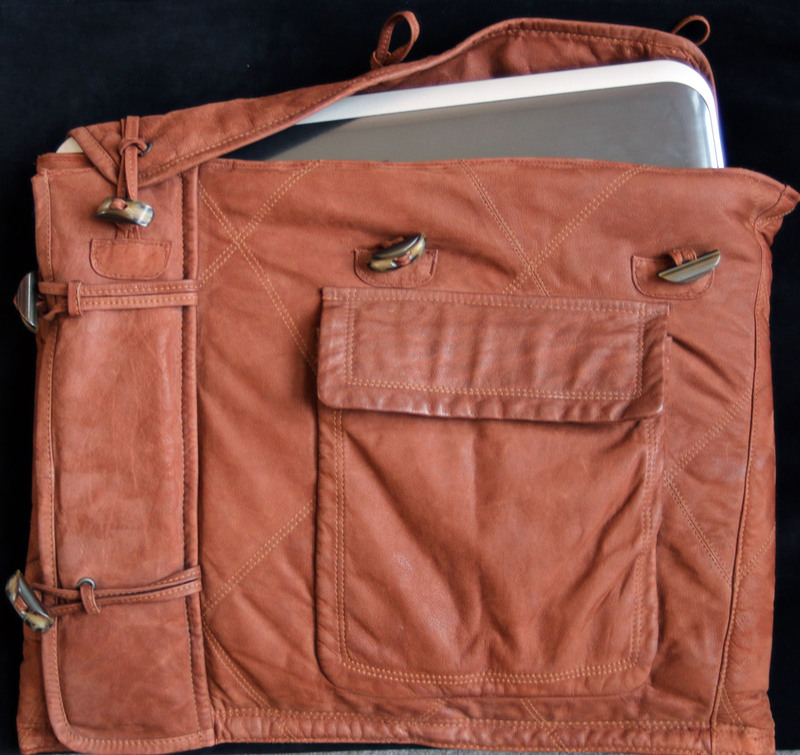 I have been mulling ideas for a year since I got the laptop and just couldn’t decide what I wanted to make: knitted and felted, pieced and quilted, leather. 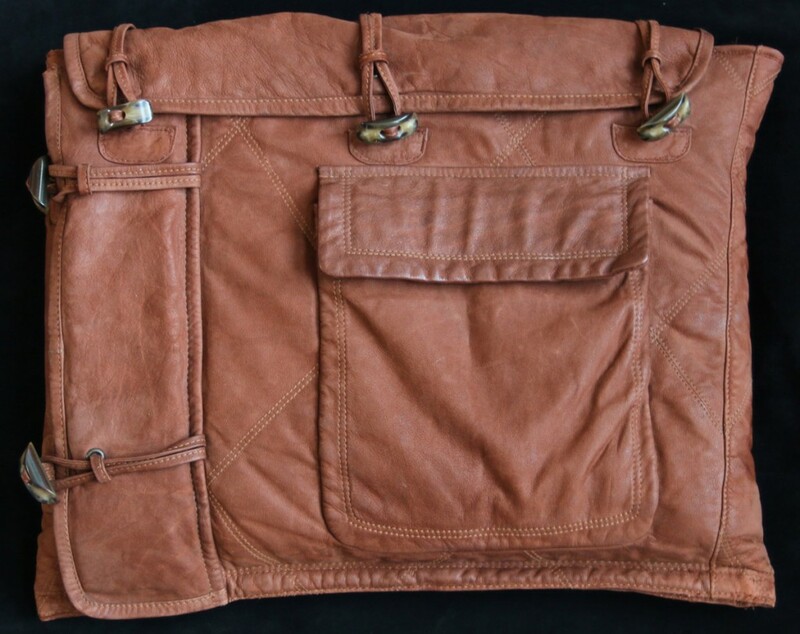 I finally had to decide and thought I would look through my thrift store leather stash for something that would inspire me. I started collecting leather while living in Italy and couldn’t stand to leave a leather coat in the thrift stores that were under ten euro. I have carried that on here in the states and love it when I find a great color or texture of leather for a great price. 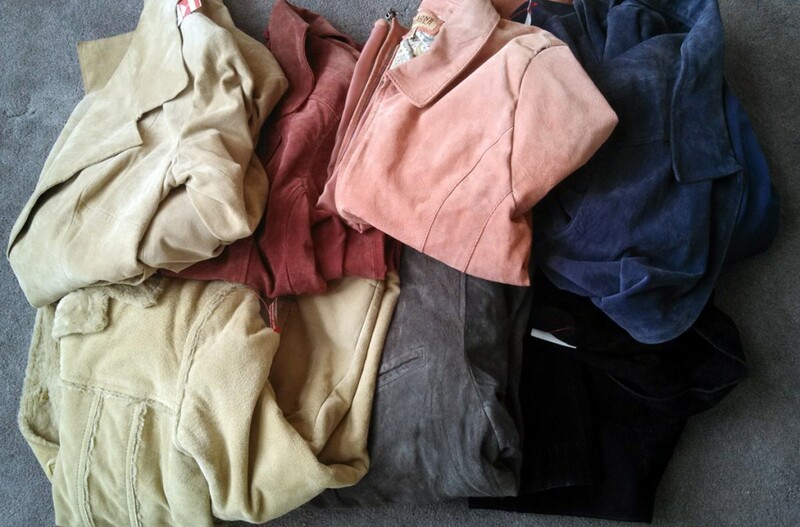 I was at Goodwill last week and found 7 leather coats and one wool (not pictured) for under $50. I left the $30 purple one on the rack. Too rich for my blood. 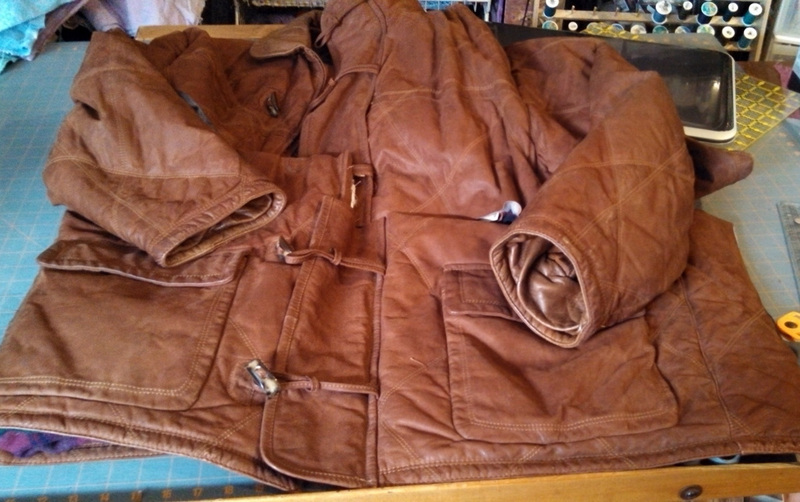 When I looked through my stash, this quilted leather coat stood out because it is already quilted with some batting, and it is so soft. I didn’t think to take a picture before I chopped it off, so just pretend it is still whole! I remember buying it in Italy during a thrift shop outing with my friends from our creative group, Scambio Creativo. We used to get together on most Thursdays and create, travel, or just hang out and enjoy each others’ company and usually yummy food. We carry that on via skype since we are now spread out across the US. I was excited to share it with them today on skype after I finished it. Stabilizer going in between the quilted leather and the flannel jacket lining to help protect that laptop! I cut off the bottom portion and then cut out the back middle. I took out the zipper and sewed together the front of the jacket which is now on the left hand side of the bag and is purely decorative. 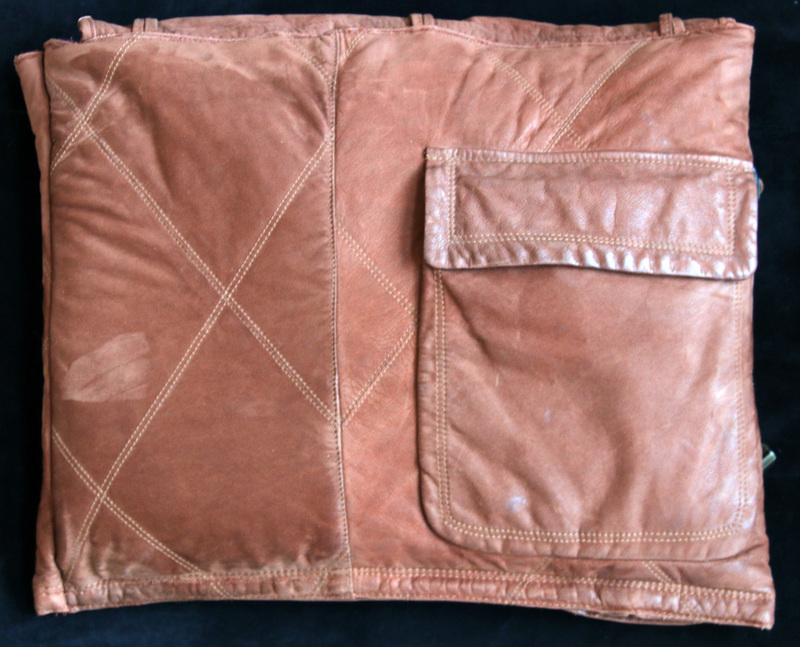 The left hand side (looking at the jacket) wraps around to the back where the second pocket is. I joined up the right hand side. 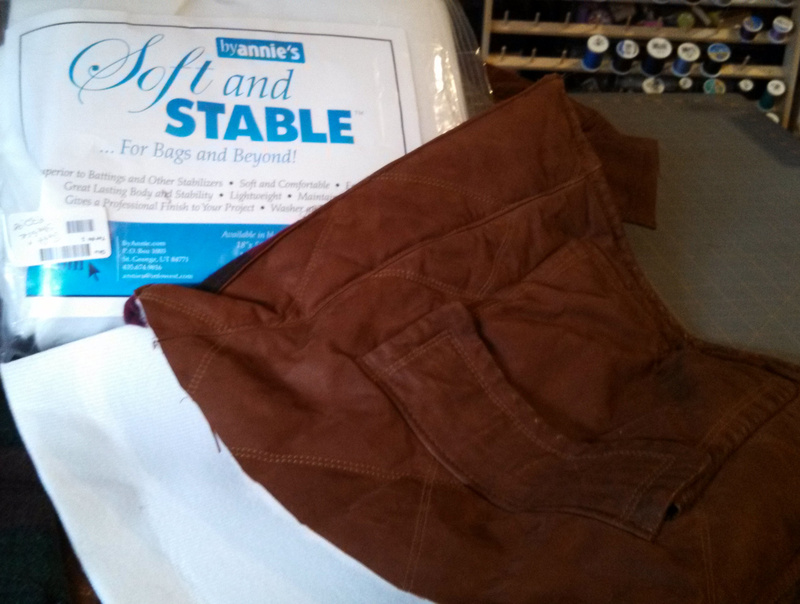 I put a foam stabilizer in between the quilted leather and the coat’s flannel lining. I cut off the rest of the front placket, sewed it to the back, and used it as a flap. I attached the buttons from the top of the placket to close the bag. E fenito! My Scambio friends say it needs a handle, but I’m not convinced yet. My plans are for it to go into a larger cork bag that I tote around all my stuff in, so I don’t need a handle. But who knows, I may add one later if I find I want one. My warn out purses get their hardware taken off and saved for future projects like this and I still have plenty of coat left.